Vicoustic presents the J.Stand acoustic desks, the first products from the new line of acoustic furniture. Acoustic Furniture represents an entirely new concept in premium studio desk design, aiming to provide the most efficient workplace for musicians and producers possible by complementing the acoustic performance of the recording studio. The J.Stand acoustic desks are designed by Jan Morel who is a leading expert in complete studio designs and known for always selecting the right gear and best acoustic treatment for his clients. 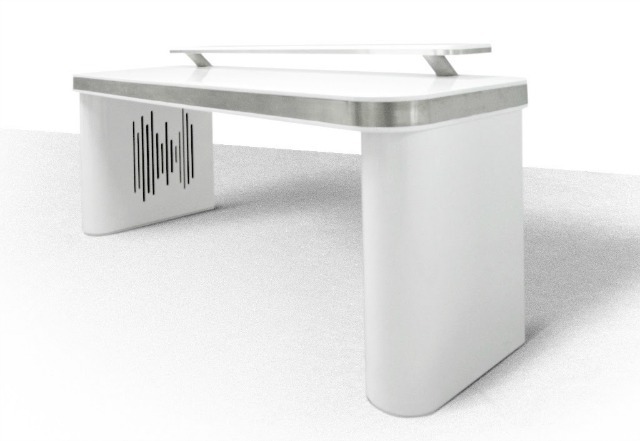 The J.Stand studio desks are manufactured by Vicoustic with guaranteed premium quality regarding the desks’ bold design.